Navy, textured cow leather with a 1 inch belt of royal blue salmon leather that wraps the top section of the bag. Interior is lined with royal blue cotton canvas and has leather wallet-type pockets for bills and cards. Top zipper closure. 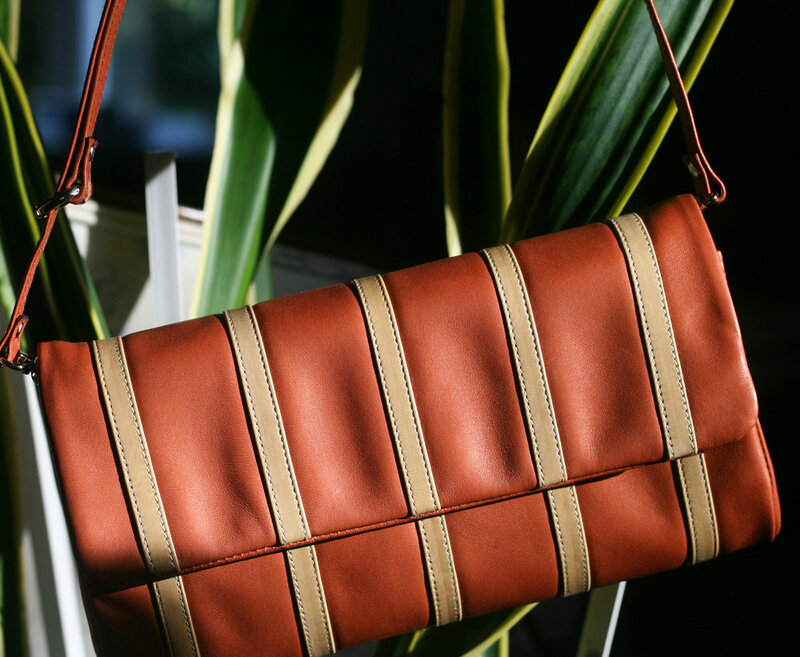 Versatile, removable, strap with a 9.5” drop that fits over the shoulder or elbow.